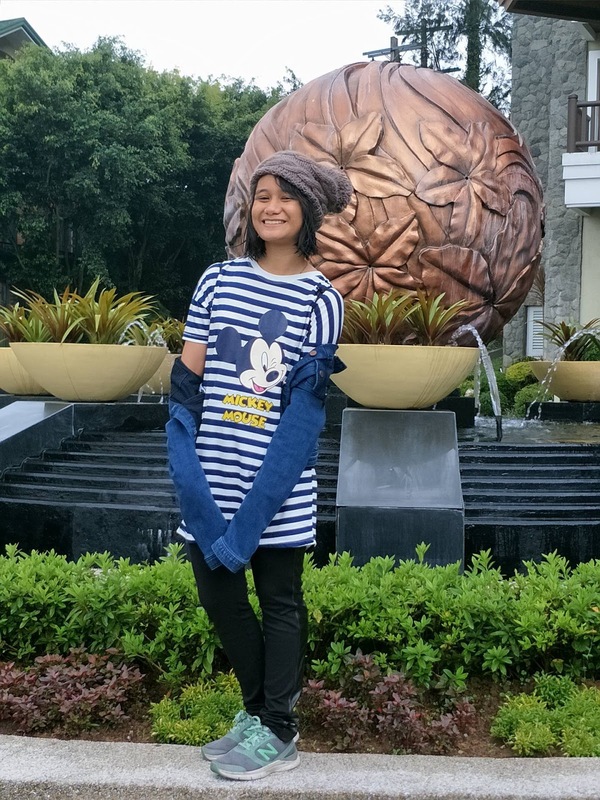 My family and I never tire of going to Baguio. Maybe because of the cool mountain air and the scent of pine trees, and the Baguio locals who have become not just our friends but we've also been enfolded as part of their family. 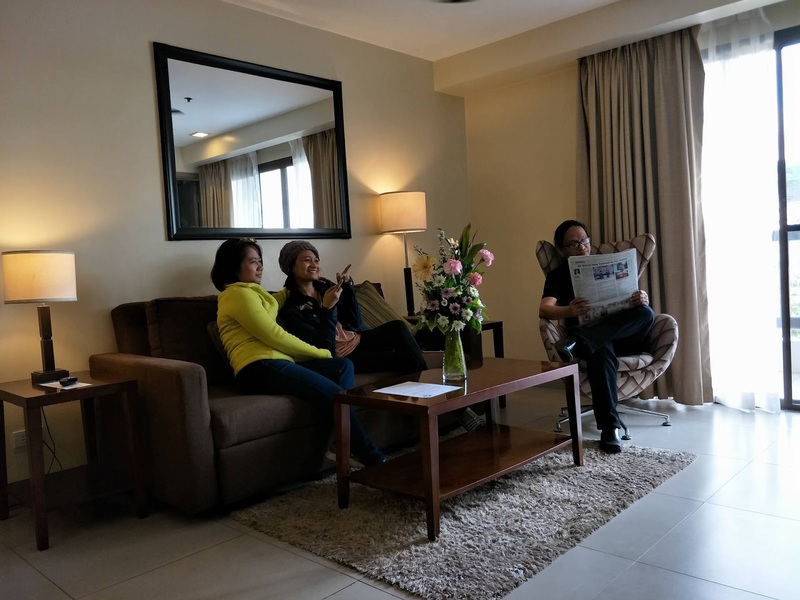 We always enjoy our stay in Baguio and has created a lot of happy memories. And one such place in Baguio exudes all these and more is Azalea Residences. 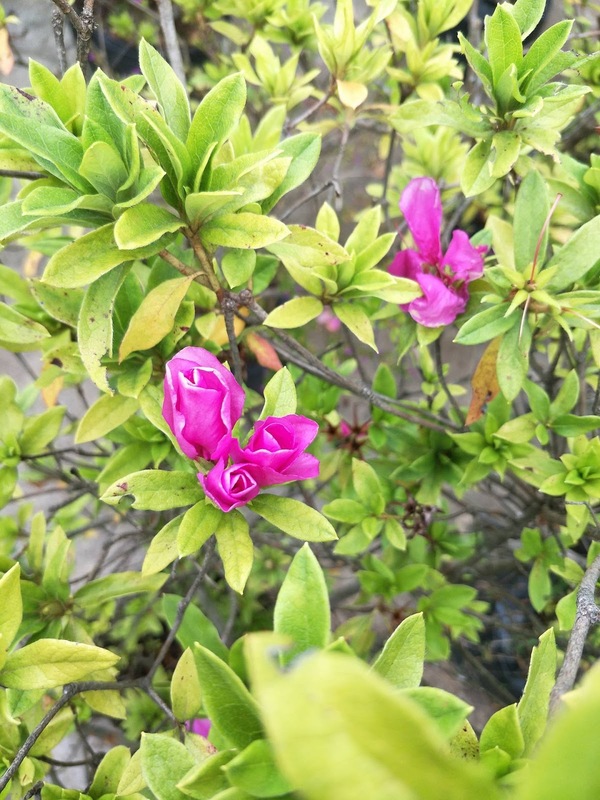 Some may not be aware of it but Azalea flowers abound in Baguio. And Azalea is not just a flowering shrub, Azalea blooms symbolizes femininity and softness, traits that embodies comfort, family, and something that you want to pamper your love ones with. 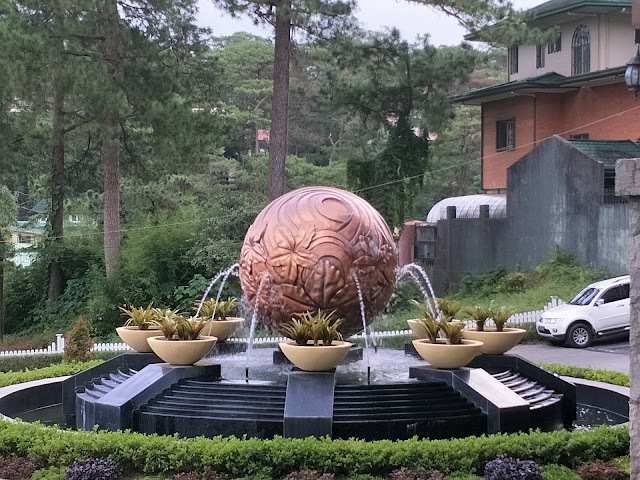 Azalea Residences is a six-storey residential hotel located along Leonard Wood Road in Baguio City. 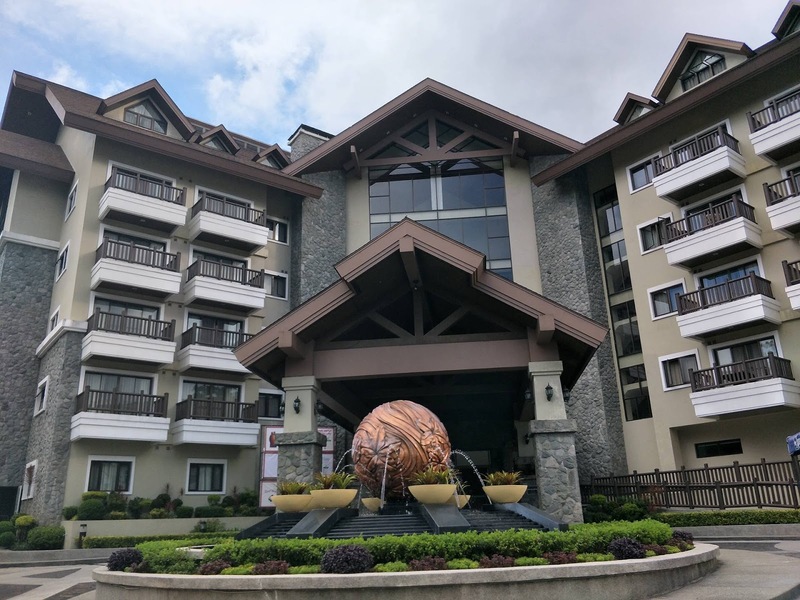 Its prime location makes it an attractive place since it is easily accessible to Baguio's tourist spots, restaurants, and mall. The hotel also has city tour that includes a trip to the Strawberry Farm, just ask front desk about it. 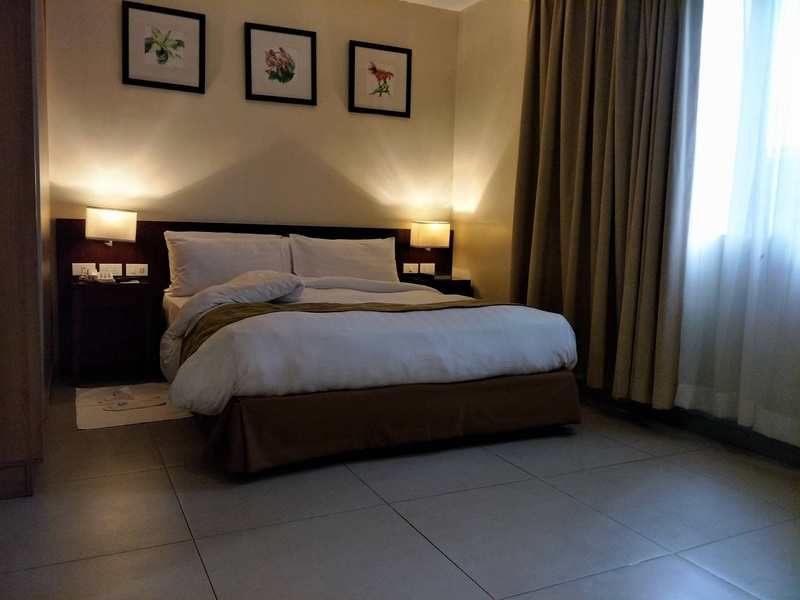 The hotel also offers not just a single room, but there's also a one-bedroom, two-bedroom, and a three-bedroom suite for big family or groups. 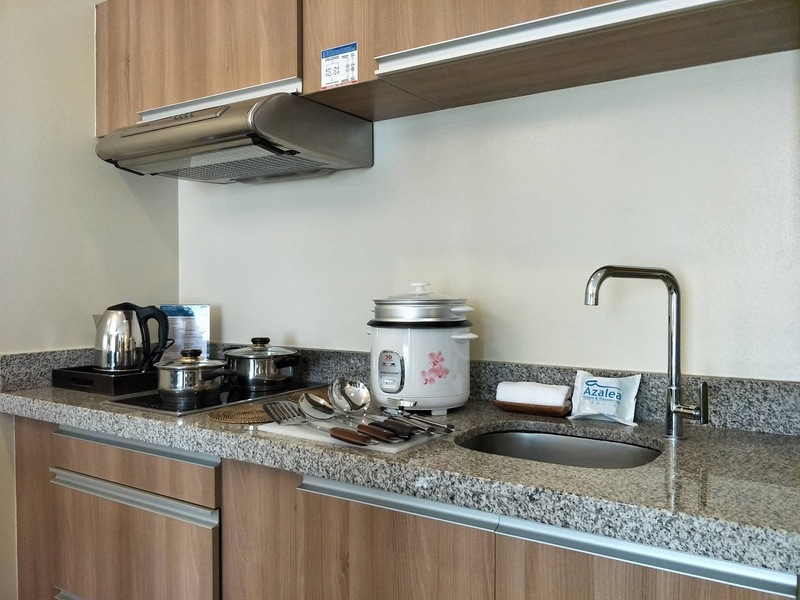 All rooms has its own kitchen and dining space so that guests will really feel at home once they enter the rooms. It is so cozy that I call it, "My Home Away From Home." 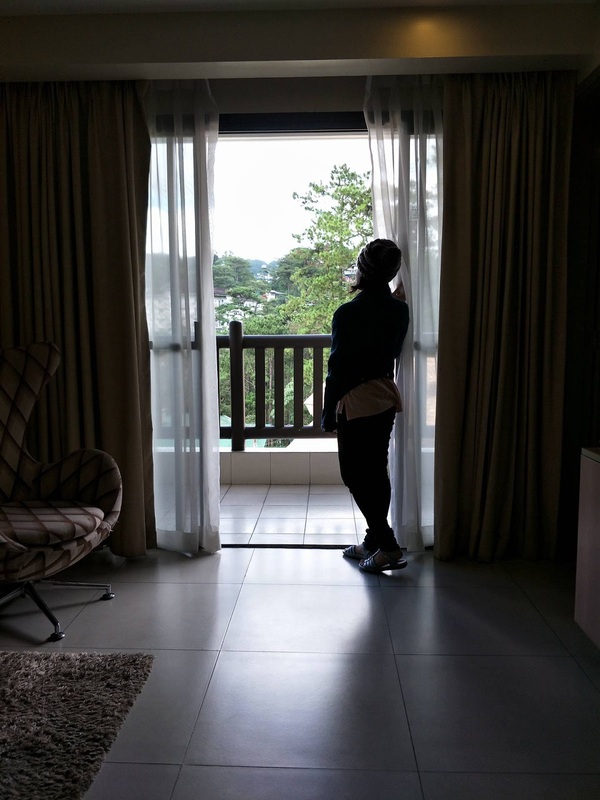 We got to stay in a two-bedroom suite and it was really, really relaxing especially with the cool Baguio weather. The sofa in the living room area can be converted into a bed just in case there's an extra guest. The living room area also has its own TV and T&B. The Master's Bedroom has a queen-sized bed and has its own T&B, TV, vanity table, and a big closet. In fact, it was so spacious that we all slept in this room. 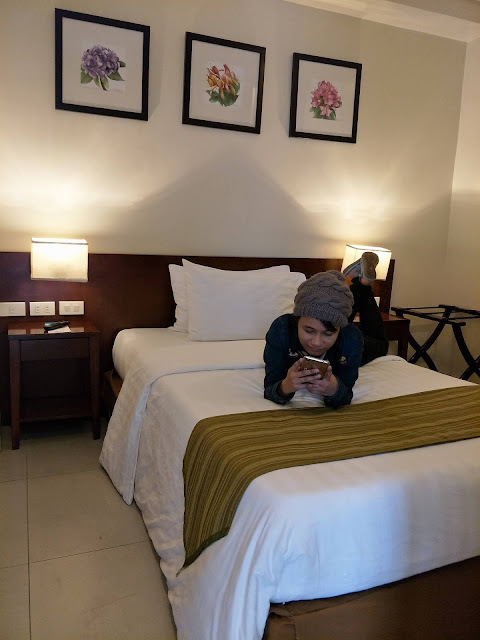 It was a nice to snuggle in bed and take advantage of the cool Baguio air. The second bedroom was smaller in size but comfortable nonetheless. 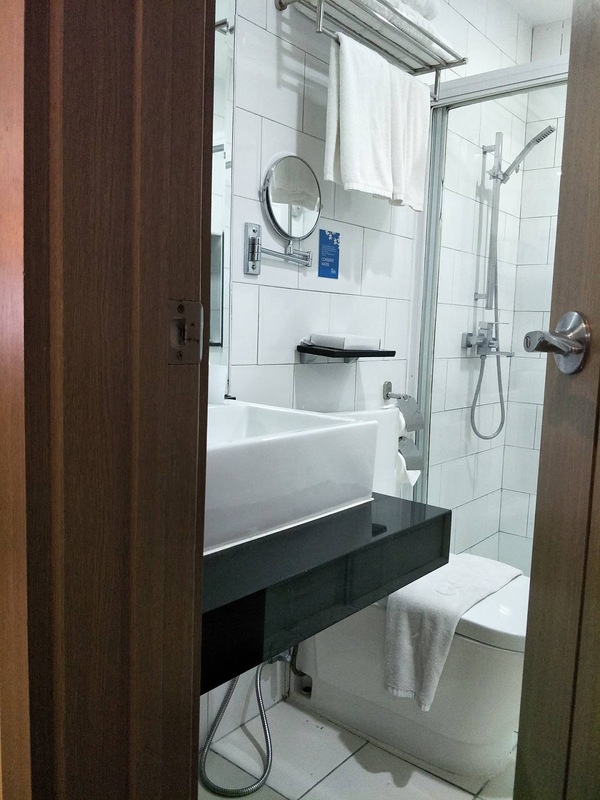 It also has its own TV, vanity table, and closet. This room can also accommodate two persons. T&B. 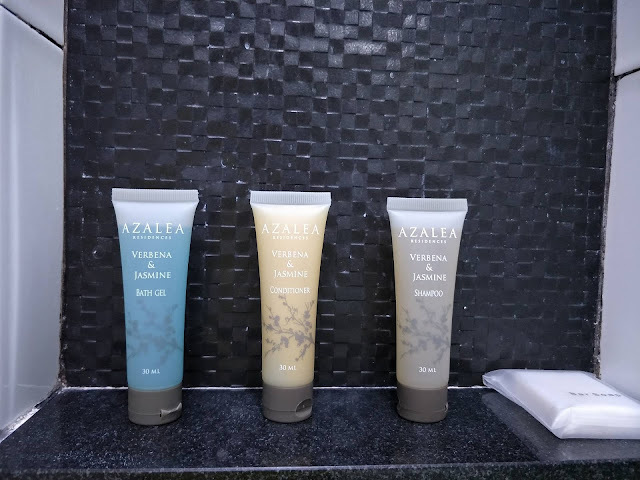 What I love about Azalea Residences is that not only does the housekeeping clean the room and make the beds but they also provide fresh towels daily, aside from replenishing bath and oral care essentials on a daily basis, too. We were really pampered! Kitchen. Each unit has its own kitchen and dining space so that whenever the guests got tired of hotel or restaurant food, they can cook it themselves. And why not? The market in Baguio provides not just the freshest vegetables, you can also buy different kinds of rice grains there (red, brown, black, purple), fruits, coffee, and meat such as my favorite longganisa (the small tiny ones). And if you are adventurous, we can either take a cab or ride the jeepney and head off to the "slaughter house" for some fresh meat, or papaitan, or bulalo. Here's what the dining area looks like although there are actual tables and chairs in other rooms. Kitchenware and dinnerware are also provided, as well as bottled water, and coffee which are also replenished daily thanks to the housekeeping department. There's also a fridge (partly hidden from the photo) so just in case who want to buy some ice cream or fresh milk. 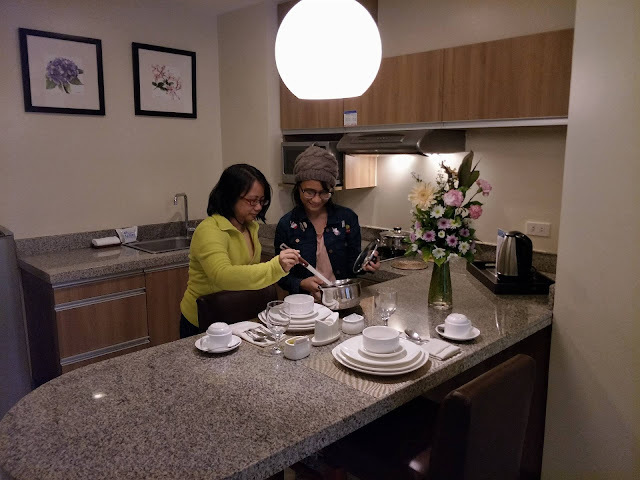 I also prefer this dining area as compared to the usual table since hubby and I also used this as our working area. 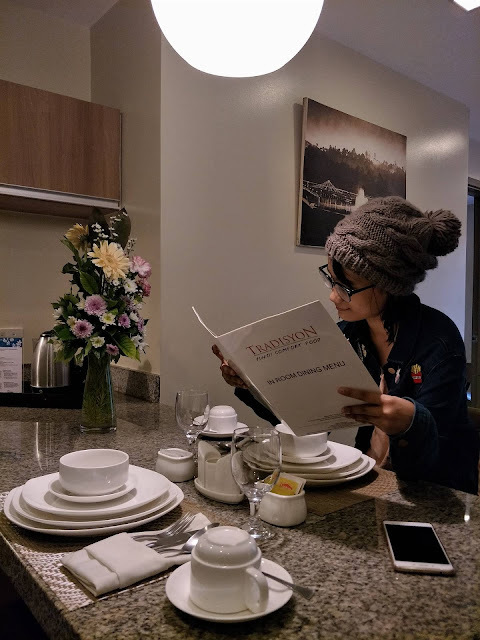 And if you are not keen to cook food, you can always call room service and order food from "Tradisyon Restaurant" which is conveniently located at the ground floor area of the hotel. I suggest ordering the crispy pata, kare kare, and sinigang. 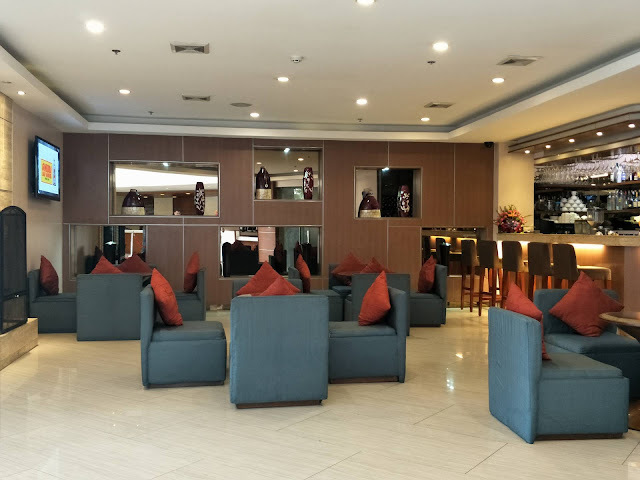 Read more details about Tradisyon Resturant here. Here's what Tradisyon Restaurant looks like. 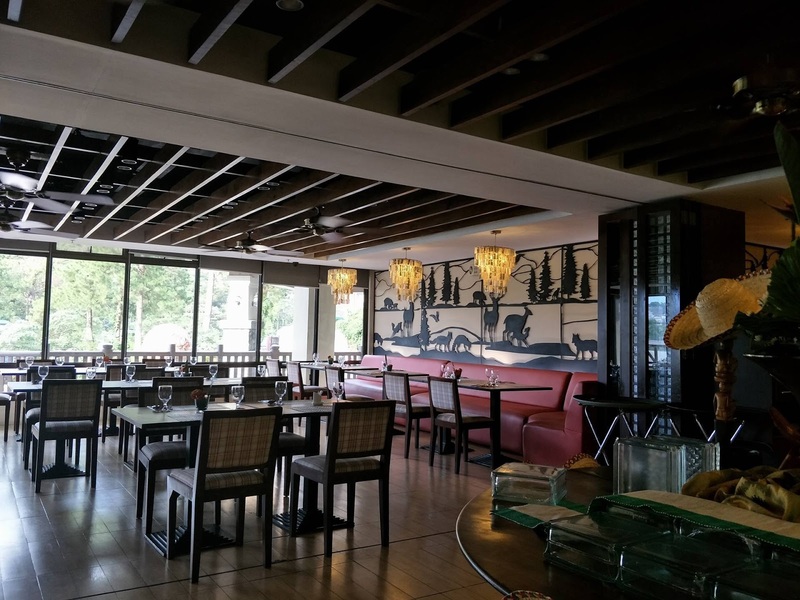 Breakfast buffet is also included when you stay at Azalea Residences and that is from 6am to 10am. I love the bacon, longganisa, hot chocolate, and the freshly baked breads. There are also numerous breakfast dishes to choose from as well as fruits, and a pancake/egg station. And what's a hotel without a bar? This is the 8 degrees Bar & Lounge at Azalea Residences. It is at the ground floor near the front desk area. 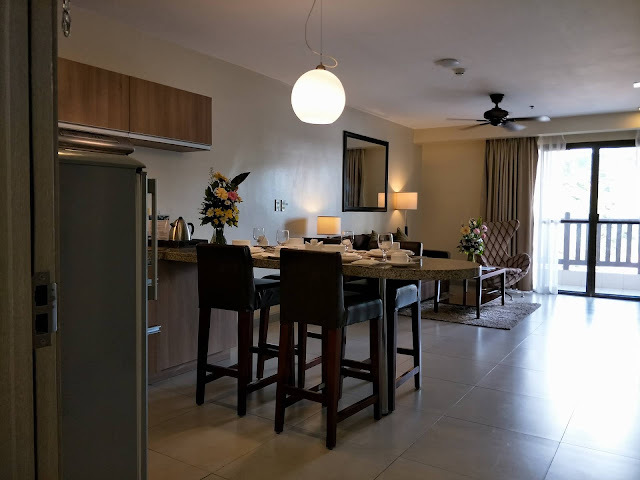 To sum it up, my family had a wonderful time at Azalea Residences and it is really a holiday haven. Thank you Azalea!